Transformation comes from questions, not answers. We often look to the Bible as the book of answers. How often, though, do we consider the challenging questions God asks? Hudson notes that Jesus was asked 183 questions in the Gospels but directly only answered three. The Creator is teaching us as we teach children when they struggle with schoolwork: You learn more by doing than being fed an absolute answer. In Questions God Asks Us, we're encouraged to focus on the quest rather than a resolution. Such an approach leads to deeper dialogue and intimacy with the divine. This is a critical turning point in our journey with God—as it was for the author. "I thought the Bible existed to give me solutions to my everyday concerns and dilemmas," writes Hudson. "Then I realized I might be approaching God and the Bible from the wrong direction. It was as if God said to me, 'Trevor, rather than you always asking questions of me, start listening to the questions I have for you.'" Each of 10 questions Hudson excerpts from the Old and New Testaments serves as a starting point for genuine conversation with the Creator. He assures, "We're not starting the conversation with God from scratch. God has already begun it. We just need to plug into the conversation that is already going on." 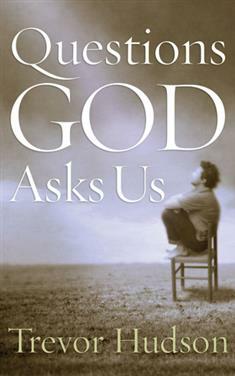 Questions God Asks Us offers a fresh approach for personal devotions and a unique discussion tool for small-group Bible studies. It's sure to bless anyone longing for a meaningful, growing relationship with God.